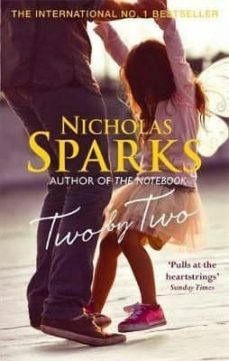 From the author of The Notebook and See Me, the bestselling Nicholas Sparks returns with this powerful new story of heartbreak, strength and unconditional love. Praise for Nicholas Sparks 'Pulls at the heartstrings' Sunday Times 'When it comes to tales about love, Nicholas Sparks is one of the undisputed kings' Heat 'An absorbing page-turner' Daily Mail Sometimes the end is just the beginning ...Russell Green has it all: a loving family, a successful career and a beautiful house. But underneath his seemingly perfect world, cracks are beginning to appear ...and no one is more surprised than Russ when the life he took for granted is turned upside down. Finding himself single-handedly caring for his young daughter, while trying to launch his own business, the only thing Russ knows is that he must shelter his little girl from the consequences of these changes. As Russ embarks on this daunting and unexpected new chapter of his life, a chance encounter will challenge him to find a happiness beyond anything he could ever have imagined.